Farmland as an important part of the terrestrial ecosystem inevitably affects regional ecohydrology process. Changes of terrestrial processes as the result of human activities will influence water and energy transfer process and further influence the regional ecohydrology process. Plastic mulching is a critical technology and has been extensively applied in arid regions owing to its function in warming the soil, preserving soil moisture and increasing crop yield. Statistic to 2014, plastic mulch has been extended and applied up to 18140.3 thousand km2 croplands in China, and that number is still in growing. Currently, the plastic mulch application area from the arid and semi-arid northern area to the high-elevation and cold area in southern in China, the variety of covered crops has also expanded from cash crops to staple food crops. 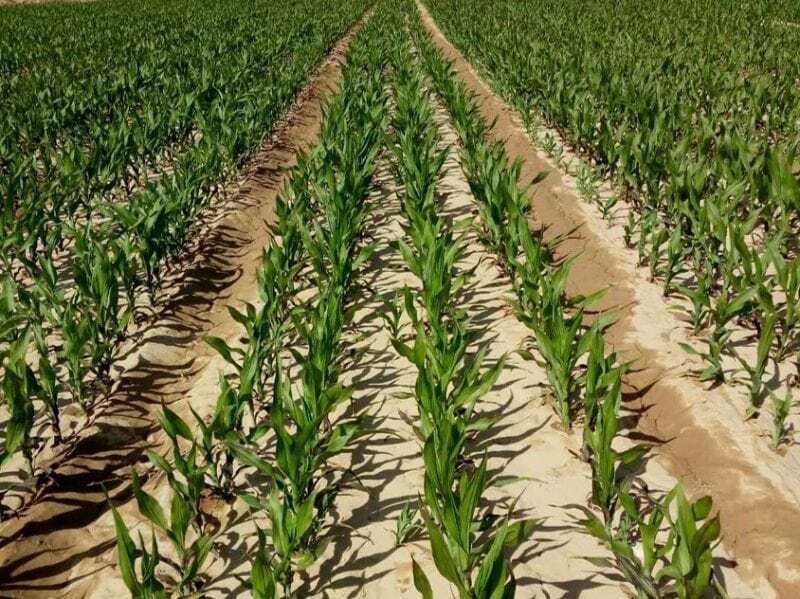 The traditional idea holds that application of plastic mulch in croplands could reduce soil water evaporation, increase water use efficiency by increasing water transfer resistance. Simultaneously, from the point of the energy transfer process, application of plastic mulch also alters the underlying ground surface reflectance and further influence the energy transfer process. Even more, croplands water transfer process in daytime and nighttime is different due to the difference in energy transfer directions between daytime and nighttime. Therefore, the mechanism of plastic mulch water-saving effect remains uncertain. Also, it is of great value to explore the influence of plastic mulching on soil water evaporation to optimize agricultural water resource management. During the daytime, the plastic mulch significantly increased the soil surface reflectance and lower the soil surface net radiation compared to the non-mulched soil, as such more radiation flux transfer into the non-mulched soil. At the same time, the plastic mulch significantly increased the water transfer resistance and severely limited the water vapor exchange between the mulched soil and atmosphere. Thus plastic mulch remarkably restricted the soil water evaporation and saved water during daytime. However, during the nighttime, air temperature above the croplands dropped sharply, while the long-wave radiation transfer from mulched soil to the atmosphere was retarded by the plastic mulch. Besides, the crop canopy above the soil was just like a coat which enhanced the warming effect of plastic mulch. And the enhanced effect increased with the development of the crop canopy. As such the warming effect of plastic mulch plays the dominant role during the nighttime which leads to higher soil evaporation and increases water consumption in croplands. These findings are described in the article entitled Can plastic mulch save water at night in irrigated croplands?, recently published in the Journal of Hydrology. This work was conducted by Qin Shujing, Li Sien and Hu Kelin from the Center for Agricultural Water Research in China, China Agricultural University, and Yang Kun from the Ministry of Education Key Laboratory for Earth System Modeling, Department of Earth System Science, Tsinghua University. Shujing Qin is a researcher affiliated with China Agricultural University. Their research focus is in water management with an emphasis on irrigation techniques.